So, I’ve got more details on how you can get a tame fox puppy from Russia. In an earlier post, I explained how you can buy one directly from the lab in Siberia for about $3,750. Now I’ve gotten more details from SibFox, a company just set up in Nevada that will handle the considerable paperwork and deliver you a domesticated gray fox puppy for $6,950. Either way, it’s expensive. But I’m guessing if you’ve got $4,000 for a fox puppy, you probably have $7,000. Only five have been imported so far, but the National Geographic story “certainly sparked a lot of interest,” says David Garside at SibFox in Las Vegas. SibFox is extremely tight-lipped about the details of the process. You you can glean from their contract that the lab wants to tightly control who gets one of these special foxes that they have turned into domestic animals in a few decades–an amazing acceleration of the process that probably took thousands of years. Although physically these foxes could live outdoors, you must agree to “this fox is NOT to be LEFT IN A BACKYARD or KENNEL ONLY. This fox is sold with the understanding that it is to go to carefully selected parties and that the Buyer AVOWED that the fox would become a member of the family.” If they find out you’re just a straw buyer, hoping to resell the fox, they’ll repossess the animal. If you ever want to give it up, they get the first option to take the fox back. Other than that, the foxes sound pretty much like dogs. The lab recommends obedience training (oh, I can see the YouTube videos from classmates!) But you can’t train them as a guard fox. You promise to give them proper food and exercise. They’ve been eating healthy: meat, vegetables and supplements. You can feed them about 1–1.5 pounds a day of that or use dog food. Cabbage and carrots are good; potatoes and tomatoes are not. The silver foxes get along great with other dogs and cats and also like to snuggle and get walked on a leash. I’m not sure the extent of requirements after the initial application, but many U.S. shelters have tougher requirements, like a home visit. I had to fill out a more elaborate five-page application to adopt my beagles from Associated Humane and get a letter from my vet. The biggest hurdle–the one SibFox will manage–is meeting the state licensing requirements. They refer prospective fox parents to Born Free’s grid of state regulations on exotic pets. If you live in Wisconsin or West Virginia, you could probably handle the paperwork yourself because these two states have basically no rules whatsoever on exotic pets. On the other end, Alabama, Maryland and Nevada specifically prohibit importing foxes or keeping them as pets. Arkansas, oddly, limits you to six foxes. The rest either ban exotics, but don’t specifically name foxes, or they require various licenses. I’m normally against most exotic pets, but these guys are like lab rescues. Each one bought gets saved from a fur farm. They’re unusual, but not dangerous like most bears, big cats or monkeys people keep as exotic pets. Since they’re all neutered, you can’t breed them. I’d much rather that anybody out there considering keeping a cougar or chimpanzee as a pet get a pet fox from Russia instead. You realize that their spotted and striped coats, which look nothing like the more even coats of undomesticated silver foxes, make them pretty much worthless in the fur market? Besides that, they look so much like dog coats, they’d have to be Cruella DeVil level stupid to try and sell them. It is illegal to have a fox skunk or raccoon as pet in West Virginia. SibFox IS a scam. Do NOT buy from SibFox. Look at any fox owner forum and you will learn this. They have scammed many people and are no longer associated with the Russian facility. Contact the Russian facility directly and you will learn this to be true. ^^^^^^^you need to calm down. and i want a pet fox. You make this sound like wild caught foxes which they aren’t. National Geographic covered the domestic fox and the scientific report is published online and can be found. 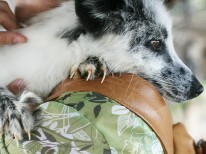 The foxes exhibit pie-bald coloring, floppy ears, and distorted breeding patterns that all domestic animals exhibit. As well as the fact that the foxes have little instinct left to fend for themselves, possibly as well as a stray dog, as was described in NatGeo. So I frankly find them only “exotic” because it is unusal to own a fox in general. So if you want a domestic fox and it is illegal in your state a simple case can be brought up and it will be possible to own a DOMESTICATED fox and not a captive bred one. Because domestic ones love attention and need it like a dog, while wild ones prefer tranquility and little attention. The only problem is SibFox and the exorbrant cost of shipping, but this will eventualy be circumvented and cheaper domestic foxes will be availble. But these ARE NOT WILD AND HAVE NO WILD IN THEM, do your research!